The cost of long-term care for seniors continues to skyrocket, whether in-home or in a nursing or assisted living facility. Because these expenses are not covered by traditional health insurance, seniors often deplete their life’s savings to pay for their healthcare needs. But you don’t have to wait until you need long-term care to figure out how you’re going to pay for it. There are estate planning steps you can take now to manage your assets in order to qualify for Medicaid benefits when the time comes. It is estimated that 70 percent of people age 65 or older will need long-term care at some point in their lives. That’s a staggering figure when you consider the increase in our country’s aging population and longer average lifespans. The costs are equally staggering. According to the Genworth 2017 Cost of Care Survey, long-term care expenses increased an average of 4.5 percent from 2016-2017. This is the second highest annual increase for nursing home and in-home care since the survey began in 2004. In Michigan, the cost for assisted living can range from $3,500 – $6,000 per month, and if you need full-skilled nursing home facilities or memory care units, the costs can range from $8,000 – $12,000 per month. It is expected that the costs of long-term care will continue to inch upward, which is why you should start planning now to ensure you are eligible for Medicaid when the need arises. In Michigan, there are various programs based on the need you have. There is a Medicaid program that assists patients pay for their monthly full-skilled nursing or memory care unit costs, if qualified. If the need is for in-home care or assisted living, the Michigan MI Choice Waiver program is available to help qualified patients receive certain medical assistance services for a free or reduced charge. To be eligible for either of these programs, you must meet specific requirements, including income and asset levels that do not exceed individual state’s limits. Transferring assets to certain recipients, however, will not trigger a period of Medicaid ineligibility, even if it occurred during the look-back period. These recipients include a spouse, a blind or disabled child, a trust for the benefit of a blind or disabled child, and a trust for the benefit of a disabled person under age 65. Transferring your property to qualify for Medicaid is very risky. How you transfer, where you transfer, and how much you transfer are all factors that can provide a different result within the rules set forth by the Department of Health and Human Services when you apply for Medicaid. Transfers are highly scrutinized and should not be done without the advice of knowledgeable counsel. At your initial appointment with an attorney, you will likely discuss varying strategies for qualification. The strategy used will heavily depend on the timing and level of needed care. An option often used is the creation of an “Asset Protection Trust”. Assets that are transferred to this kind of trust no longer belong to you and should not be counted when you apply for Medicaid. This strategy must be put in place at least five years before the need for Medicaid arises. This involves transferring your assets to an irrevocable trust to hold the assets you wish to leave to your beneficiaries and not be counted for Medicaid purposes. As a cautionary statement, take notice that in order that assets in this trust are not countable for Medicaid purposes, the grantors (the person putting the assets in the trust) cannot have any control or management of the property, nor can they directly benefit from the property. “What does that mean?” You say. It means that you cannot demand the assets be returned to you at any point once the transfer is completed. Only the trustee has the authority to manage the property you placed in this trust. So, once your property is transferred to this trust, it is a completed gift to hold the property until your death for your beneficiaries. These types of trusts are not intended to be a ‘hiding box’ for your assets, but instead, a floor of assets you wish to be preserved for your beneficiaries’ after your death. Many assets can be transferred into this trust, including your home, which you can then reserve the right to live in for the remainder of your life. Also, if income-producing assets are placed in the trust, you may continue to receive the income, but you cannot withdraw or demand access to the assets once they are placed in the trust. Keep in mind, each transfer to this trust is subject to the look-back period. While this is a widely used strategy, there are several caveats to these types of trusts that you should be aware of. 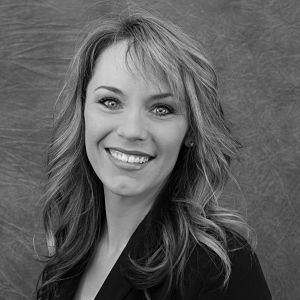 Be sure to ask all your questions before transferring assets to an Asset Protection Trust. Sometimes you may need to develop a strategy at the last minute because you unexpectedly find yourself needing long-term care. But if you’ve had a recent transfer of assets or you are holding onto substantial assets, you will not immediately qualify for Medicaid. In these situations, an annuity or a promissory note may be used to create cash flow from your assets and the funds can be used to pay for your long-term care. 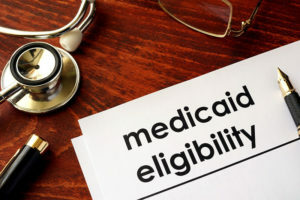 Planning for your Medicaid eligibility can be extremely complicated. If you anticipate incurring long-term care expenses or have questions about Medicaid planning strategies, please contact us today.